Words such as “handcrafted” and “artesian” and “small batch” can often be chalked up to clever marketing tactics. After all, there’s often times a good chance that your “small batch” whiskey isn’t actually small batch. Several articles have even been done on the fact that a good number of “micro-distilleries” actually buy a product from another distiller and simply repackage it with a huge markup. That’s why I regarded Jack Rudy Cocktail Co. with that ever-present eye of distrust that I’d been honed to have ever since my days as a gumshoe journalist. However, the company was kind enough to put their tonic where there mouth was (awkward) and sent me a bottle a few months ago to review for the site. 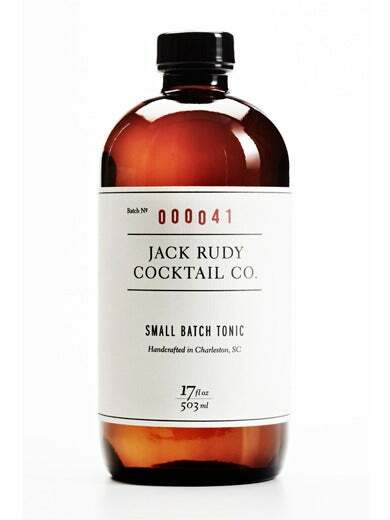 We’re the first to admit that we’re suckers for good packaging, and the Jack Rudy Small Batch Tonic has it in spades. It has an understated design that smacks of no-nonsense cocktail mixing, which is already a point in its favor. But, the real question is how does it hold up to your run of the mill tonic? At $32 for a set of two bottles, it’s quite a bit more expensive than your standard Canada Dry. Our Small Batch Tonic is essentially a quinine concentrate. It’s designed to pair with your favorite Gin or Vodka, and is then stretched with soda water to make a bright, light, refreshing highball. And stretch you can. We’ve made this bottle last at least three months, and managed to create some of the best fizzy drinks this side of the Rio Grande. First thing is first, we had to taste it in its natural state. And that natural state is powerful. Jaw clenchingly powerful. The first notes are of strong orange and lemongrass, ending in that oh-so-familiar quinine tang. It’s not particularly sweet, which is good. It definitely has a lot more layers than your typical tonic. Now, after adding the tonic base and topping with club soda, we will sample the actual tonic water. Much like the concentrate, this has way more layers that you would normally expect from a tonic water. It’s light and refreshing and could easy be sipped just like this for the more discerning teetotaler. You’re going to want to pair this tonic with a gin that’s strong enough to stand up to it. We would recommend a Navy Strength or London Dry Gin, as those have very distinct flavors that blend perfectly with the flavors in the tonic. With things such as Genever or a Straight Gin, their more delicate flavors are lost and dominated by the tonic. 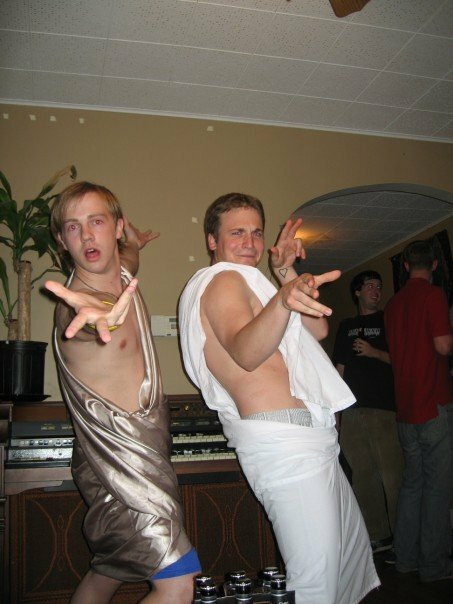 That being said, we are unequivocally going to purchase this again and keep it in our bar. If you use .5 oz per drink (we found ourselves using a little less just to temper those flavors and bring the alcohol out more) you get 34 drinks per bottle. So, cost wise, you really are looking at some pretty comparable areas. 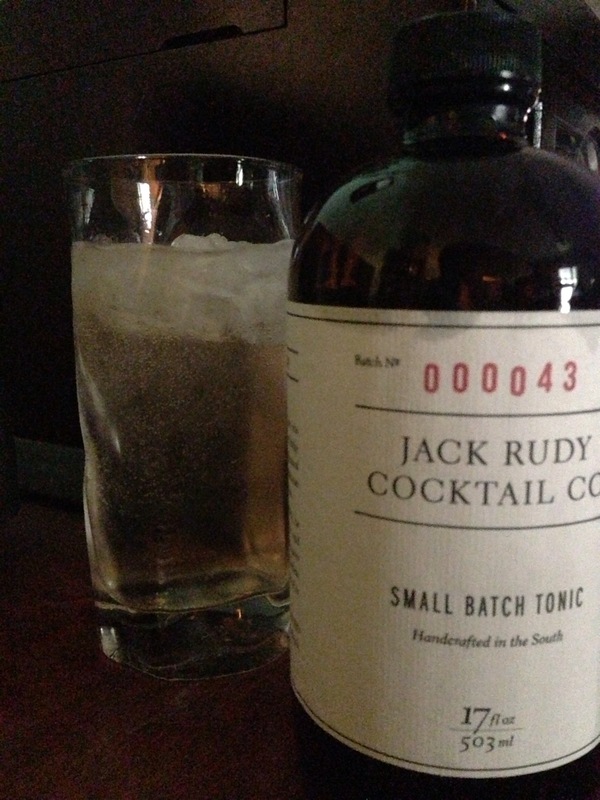 One of the best things about Jack Rudy tonic is that the flavor is so powerful and so unique that you can craft cocktails with its particular flavor in mind. We used some Leopold’s Navy Strength Gin, St. Germain Liqueur and a dash of fresh lime juice to create a multi-layered cocktail that wowed everyone in the room. So, good on you Jack Rudy Cocktail Co. You’re not just whistling dixie. I make my Jack Rudy G&T’s with 3 oz. of Barr Hill Gin plus .25 of Jack Rudy. What I have to add is Perrier Sparkling Natural Mineral water in Lemon. A tall glass is a must with good hand cut ice. Is there citrus? Yes, in the form of the Lemon bitters from Joe Fee. They seem to work well. You’re close with your recipe, but I’d definitely use more gin. I like the mosquitoes to get drunk when they bite me.